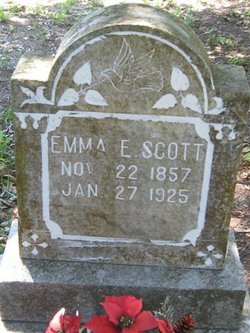 5~Lena May Scott B: 04/13/1892 Higley, Lake Cty, FL D: 1894 Higley, Lake Cty, FL. 4~John Lester Scott B: 10/27/1860 Albany, GA D: 11/03/1944 Lived in GA until sometime after the Civil War when he moved to Early County with his mother and siblings. M: 12/04/1892 Emma Andrews Davis. The Davis family were among the earliest in Early county. Family stories tell of John's intelligence and how loved he was by all of the children he raised. He was a farmer but he also wrote articles for the Arlington Newspaper. His neighbor for a period of time was the grandfather of President Jimmy Carter. 1~Foreman Gee Jr 1924–2017﻿ M: Norma Ann Westmoreland unknown–2001﻿. Army Air Corp as a pilot during World War II, computer operations manager with Florida State University and the Florida Department of Transportation. 3~Alexander Franklin Scott 1846-1925 M: C. Virginia Dobbins 1849-1911, Hague Cemetery, Alachua County.. Alec was fifteen when he enlisted in the "Dougherty Grays" in Albany, Georgia with his oldest brother Dr. Henry Augustus Scott. He was a sixteen year old Cpl. in the Ga 51st Inf Co K under McLaw when taken prisoner at Gettysburg on July 2, 1863 in the overnight fighting. He was removed to Ft Delaware and transferred later in October to Pt. Lookout, Md where he was imprisoned until February 1865. When exchanged he walked to Camilla, Ga. Alec and his wife Virginia Dobbins lived in Albany, Ga until relocating to Florida. They resided in Hague, Alachua Co, Florida where Virginia is buried. After she died Alec moved to the Old Soldiers Home in Jacksonville where he lived until his death. 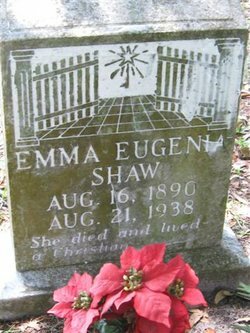 Emma Jane Eugenia Etheridge was the daughter of Greenberry W. Etheridge (1816-1862) & M: 1838 Martha Ann Stinson (1821-1870apx). 1~James Lester, Sr. B: 1754 NC D: 06/18/1819 Milledgeville, Baldwin County, GA M: Henrietta Cox. James Lester was a Revolutionary War Soldier who served in the Georgia Troops; also a Soldier of the War of 1812. 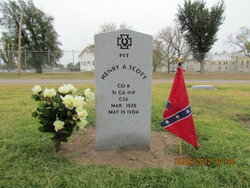 He was listed among the early pioneers and settlers to Newberry Count﻿y, SC. 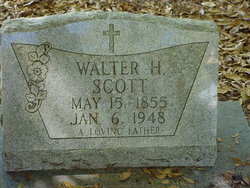 Lester ultimately settled in Baldwin County and was buried in the Lester Famiy Cemetery 8 miles North of Milledgeville on Hwy 24 in a field on the left side of the road﻿. 2~Eli Lester B: 1798 D: 12/08/1834 M: 1818 Winnifred Hill in Hancock, county, GA. B: 1801 D: 11/25/1856. They moved to Milledgeville, in Baldwin County. GA.
Glennville Plantation was built 1842-44 by Columbus Americus Mitchell. He married Mary E. Billingslea on Sep. 4, 1841. The interior of Glennville Plantation mansion is as elegant as the outside with the beautiful curved stairway and dramatic entrance.The photographs below taken by photographer Alex Bush around 1935 and 1936 show the grandeur of the interior. Major Robert Nesbit came to Caledonia in 1808 from his native Berwick-Upon-Tweed, Scotland where he was born on November 17, 1799. Caledonia Plantation was one of the profitable rice plantations in the 1800's. One amazing fact about the Plantation is that in 1850 when it was being managed by Mary Hamilton Nesbit, widow of Major Robert Nesbit and daughter of John Hamilton, it's rice crop topped 540,000 pounds of rice. The plantation had a cash value fixed in the 1850 census at $80,000 one of the top 20 in the area. In 1860 and now managed by Robert Hamilton Nesbit, the plantations yield had been increased to 720,000 pounds of rice. Caledonia's name came from the ancient Roman name for Scotland. Major Robert Nesbit inherited the property from his uncle Dr. Robert Nesbit who was married to Elizabeth Pawley in 1797. (Dr. Nesbit's Account Book 1796-1804 is kept at the South Caroliniana Library, University of South Carolina, Columbia, SC). Major Robert Nesbit was a respected member of the community and a popular member of the Hot and Hot Fish Club which passed a resolution comemorating this "practical planter" upon his death on October 17, 1848. He had lived for more than 30 years on the Waccamaw Neck. The plantation was eventually divided between Major Robert's two sons, Robert Hamilton Nesbit, and Colonel Ralph Nesbit. Colonel Ralph Nesbit served with the Siege Train during the Civil War. He and his family were members of All Saints Parish, Waccamaw, where he served as a vestryman and warden. During the reconstruction period in 1866 the Nesbit's were two of a group of planters who entered into a contract with their laborers sanctioned and approved by the US government. The contract stated that the planters would furnish implements, wagons, and mules. The laborers were to work the crops and keep the fences and ditches operational. One-half of the rice, corn, pea, and potato crops were to be given to the laborers after deducting 1/5 for plantation expenses. This effort to maintain the crops and their work force failed due to many of the laborers refusal to work the contract. The crop of 1866 was one of a string of failures which futher depressed the area planters. A letter from Benjamin Allston to a fellow plantation owner in Plantersville gave a prediction of the future, "From being one of the most wealthy Districts, I fear it will now rank as one of the most impoverished, and the vain attempts to cultivate rice under existing circumstances by many, will only complete the ruin." Even the US government's vain attempt to assist the crops success by having the US Army try and force the former slaves to work were unsuccessful. By 1867 the planters were on the verge of bankruptcy.